5 days Ishasha tree climbing lions and Bwindi Gorillas safari. 5 Days Gorillas and Chimpanzees Safari to Bwindi and Kibale National Park. Imagine combining gorilla tracking in Bwindi Impenetrable National Park that has half of the endangered mountain gorillas in the whole world with chimpanzee trekking or Habituation experience in Kibale National Park which has been declared the best place to view habituated wild chimpanzees? This all inclusive tour will start and end in Entebbe or Kampala but return Airport transfers are included. After Breakfast, you will drive to Lake Bunyonyi located on the Eastern side of Bwindi Impenetrable National Park. Your guide will make stopovers at the Equator for photograph and later lunch in Mbarara town. You will then drive past banana plantations, Farms and beautiful hills of Kigezi for your overnight at Rushaga Gorilla Havens Lodge or Trekkers Tervan Lodge in Western Uganda. After your early morning breakfast, your guide will drive you to Ruhija Park headquarters for briefing and joining others for gorilla trekking. You will start your trek which can take from 30 minutes to 7 hours depending on the location of mountain gorillas on that particular day. Once you have found them, you will be around one hour of observation and photography before returning back to the park headquarters for certificate and overnight at Rushaga Gorilla Havens Lodge or Trekkers Tervan Lodge. After breakfast we will drive to Kibale Forest National Park for overnight at Chimpanzee Forest Guest House. This journey will take you through Queen Elizabeth National Park with chances of spotting some wild game as we drive through this savannah dominated National Park. You will have a chance to cross the equator for the second time and crossing several rivers that originate from Mountain Rwenzori. Enjoy a lunch break in Fort Portal town before checking in at Chimpanzee Forest Guest House for overnight. After breakfast, you will drive to Kibale National Park headquarters for briefing and then chimpanzee trekking in the forest. You will be divided into small groups of six people headed by one guide who will then move with you into the forest to find one of the chimpanzee parties. Chimpanzees live in communities of 50-150 individuals but breakup into small parties during the day to reduce competition on food. They will then recollect in the evening to build their nest. You will be allowed one hour with the chimps before returning back for lunch and then a wetland walk in the nearby Bigodi Village. After breakfast, you will drive to Kampala/Entebbe for your post tour accommodation (not included) or to Entebbe International Airport for your international departure flight. You need a Safari, Please let us know. 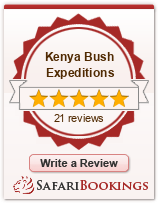 We shall give you a comprehensive guide itinerary that meets your Expectation and Budget. Please share your details and we shall contact you back.